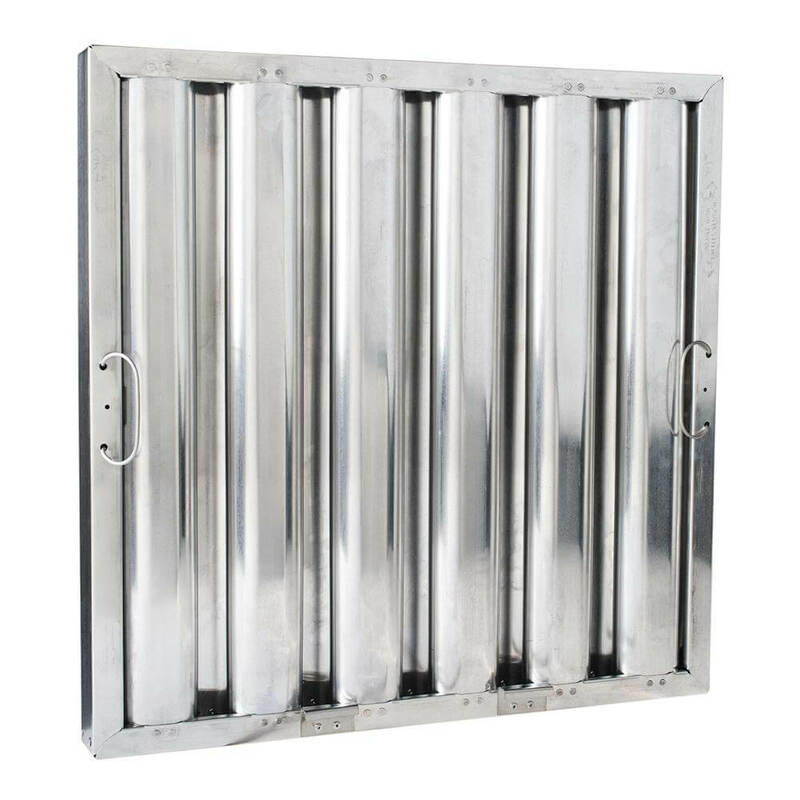 Research Products Kleen-Gard Baffle Filters play a key role in both kitchen ventilation and fire prevention. These filters remove grease from the air and drain it safely away, protecting HVAC blowers, prolonging motor life, and slowing oily film buildup that increases the risk of fire. 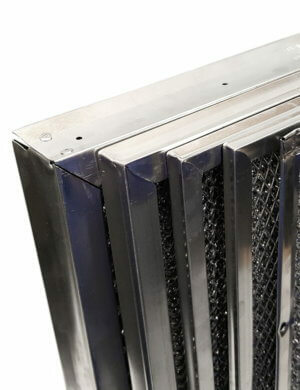 The operational range for these filters is 150-400 FPM (0.8 – 2.0 m/s), and they are UL 1046 certified for 94% average grease removal efficiency at their optimal face velocity of 300 FPM (1.5 m/s). They also meet NFPA 96 requirements when properly installed. 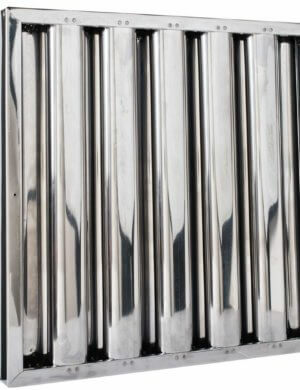 Kleen-Gard filters come in gleaming aluminum, galvanized steel, or stainless steel. They are attractive and easy to install, featuring all-in-one construction, built-in bottom hanging hooks, and optional snap-in handles for ease of use. You can also choose locking handles compliant with Maryland regulations. Cleaning and reusing the filters is also easy with hot water and dish soap. If your kitchen contains a specialty or solid fuel application, such as a charcoal bar-b-que or wood-fired oven, it may create airborne sparks and embers. 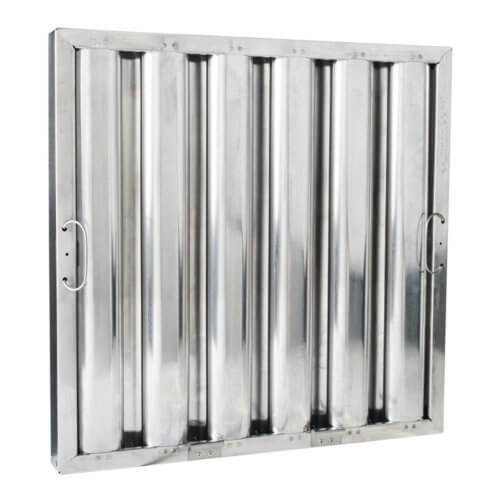 Combat this additional fire hazard using stainless steel filters with spark arrestor screens. Spark arrestors prevent hot embers from entering the baffle filter and igniting oily residue in your HVAC system, further increasing fire safety.